Morphine Street Names: What Do Other Terms Mean? 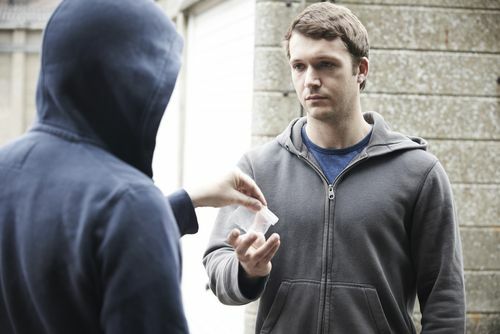 When drugs are sold illegally, whether they are street drugs or prescription drugs, they are often spoken about using special terms, often called slang, code, or street names. Street names for morphine and other drugs can develop for different reasons. In some cases, it is meant to reflect the subculture or subcultures that frequently partake in the drug; in other cases, it is meant to provide the users’ shelter from prying eyes and law enforcement. With morphine names, the origins are varied. However, if someone is worried that others around them might be talking in code about using the drug, they need to learn the street terms. Why Do They Use Morphine Medication Names? Morphine is an addictive prescription medication and is also the primary chemical component in opium. When taken with medical supervision, it is used to treat severe pain. However, it is often abused due to the intense euphoria it causes. This drug is highly addictive and causes many side effects. The origins of morphine names vary. Different subcultures and regions can have their street names for drugs like morphine, and as the street terms become more well-known, they are often changed. In most cases, the street terms for morphine are based on the actual name of the drug, describe the look of the drug, emphasize the manner in which the drug is taken, or are derived from the way morphine makes users feel. For example, Miss Emma is one morphine name, arising because Emma sounds like M, which is the first letter in the drug’s name. White Lady is another street term for the medication, based on the white tablets the medication comes in. When ground to a powder, it can be called Salt and Sugar. And the street name Dreamer is due to the way it makes the user feel — as though they are in a dream-like state. Many wonders why sellers and users alter the names of drugs when sold on the street. Several factors contribute to this. The most common reason for using drug street terms is because it helps to disguise that someone has Morphine use signs. This makes it easier for users and dealers to speak about morphine or other drugs in front of parents, teachers, and even legal authorities without them understanding the discussion. Because of this, many street drugs have human names. For example, using Emily to refer to morphine makes it appear to outsiders that people are merely discussing a friend or family member. If people hear someone asking a friend if they will be bringing Emily over tonight, it does not arouse suspicion. However, there are less utilitarian reasons to use a street name for morphine and other drugs. For users who are embarrassed by their use, opting to use another term can take away some of the stigmas. Saying morphine may make them feel like an opioid addict while saying Vitamin M makes them feel almost as though they are taking part in self-care. It can also help to bring a subculture of users together. When they create and use their term for the drug, it makes them feel bonded differently than if they used the word or phrases everyone else uses. It is a part of the community, and as a result, many street names for drugs vary by region. Finally, there is the “cool” factor. Using proper medical terms feels stuffy to most recreational users, who often consume in social settings — at least at first. As a result, they turn to words that seem more relaxed and more fun than the official medical terms. Ultimately, the reasons why street terms are used with morphine and other drugs isn’t as important as being able to recognize these street terms in conversation. Because of the different names for morphine in particular sound innocent when you hear them, it is hard to spot users without knowing the terms. There are many barriers to getting help for someone abusing morphine, but understanding the jargon does not need to be one. Once someone knows the street names for morphine, it will be easier to understand what is being said and realize that the drug is being abused. Although morphine names are often changing, they tend to have certain features in common, making them easier to pick up on. Ultimately, a little education on the matter goes a long way. Are you or a loved one concerned that someone in your life is abusing morphine and hiding behind code names? There is help available to you. Contact our addiction specialists at (888)-459-5511 to learn more.